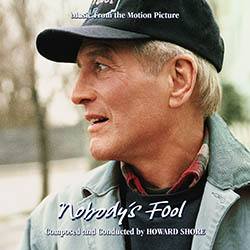 NOBODY’S FOOL composed by Howard Show. Whilst not having seem this 1994 Paul Newman film, my research found that it’s quite a cherished film. A movie where not much happens visually but a whole lot happens in what is said. A parred down, gentle film with excellent acting by 68 year old Paul Newman and sadly, the last movie of Jessica Tandy. Newman plays the irascible Sully who, approaching retirement, has not really done a lot with his years and enjoys a quiet life in a small town. When his only son shows up Sully has to face up to long lost family responsibilities. Newman was praised highly for his performance in this movie and thankfully La La Records have just release a limited CD of Howard Shore’s delightful score full of Album Versions and Alternative Tracks. The Main Title is emotional on a level of Sully having a bad childhood which robbed him of fulfilling his life, it’s sad but slightly hopeful and fun as there is a lilt to the score depicting Sully’s Celtic bloodline. The theme runs through most of the score with hints of Sully being re-engergised by the arrival of his grandson and bittersweet memories of his own childhood. Cues of note [though you should just pop the CD on and relax with it] are Will at the Wheel, this is where Sully let’s his young grandson take the wheel of his truck, it’s joyful and melancholic all at the same time. Toby’s Theme, Toby being Sully’s bosses young wife played by Melanie Griffith’s whom Sully flirts with.The music tells of Sully’s lost life and dreams. This is a well deserved release to an understated, emotive score. 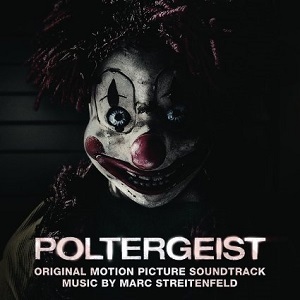 With a thirty year gap from the first Poltergeist film to this remake, it’s going to be difficult to not compare Jerry Goldsmith’s wonderful score to German composer Marc Streintenfeld’s interpretation of this simple ghost story. Streitenfeld wanted to take the ‘home feel’ into his soundtrack by developing ‘house sounds’. These noises he took from his old 50’s cooker, utensils and doors slamming etc. The journey starts with the soundtrack covers. The 1982 score showing a picture of the young, abducted child with the palms of her hands on a tv screen.The Streitenfeld score shows the face of a sinister clown. Quite a different approach as is the score. Poltergeist Opening combines the childlike factor with the sound of a children’s piano playing a simple 5 note backing with high strings sounding as if they are calling out, beckoning – it’s very effective. Chilling electronic sounds with distorted static on They’re Here, the famous tagline from the first movie, together with chaotic steel sounds definitely tell you that they have arrived! Angry Spirits pulsates but then cleverly dissipates and returns creating movement to depict the spirits. There is a further sense of movement in Electronics Awakening with spirits and music and a feint sound of music from the tv, all swirling together. The name of the next cue is scary – Into the Closet – and so is the music, truly scary. Maddy [instead of the first films Carol Anne] Is On TV evokes the sadness of Maddy being taken whilst Home Improvements is way too quiet and you just know something bad is going to happen, in it we hear the Poltergeists swarming like bees. Let Her Go is a loud battle between the Poltergeist and Maddy with heavy brass and high pitched electronics together with driving strings, it’s a strong cue. Then we can breath as Home Free brings the child like tones but after a pause, the static pushes through and it ends with the child’s tune and the clown laughing. Goldsmith conjured his horror with an orchestra, Streitenfeld relies more on ambient sounds and it works with chilling success. I miss the more homely sound of Goldsmith scores whilst Streitenfeld just goes for brief touches of a childlike piano but it takes nothing away from the new score which is measured and with it’s displaced, curved sounds, he creates a scary and ethereal back drop. His oeuvre includes music composed for film, opera, ballet, symphony orchestras and theatre, as well as chamber music. He is one of the most versatile composers of contemporary music; winner of the Oscar, Golden Globe and World Soundtrack Award. 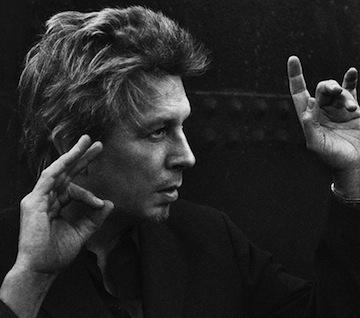 We are proud to announce that the winner of the 1st annual Wojciech Kilar Award is Elliot Goldenthal. The criteria for the Wojciech Kilar Award turn away from the quest for industrialization and the primacy of special effects in film music soundtracks. Founding this Award is to a way to take part in the debate by juxtaposing the traditional art of composing film music with its assembly line, business-like alternative. The vast majority of composers producing music as if in a factory do not have direct contact with autonomous work.Often standing at the forefront, the composer is just the author of several themes that are harmonized, instrumented and prepared by a staff of anonymous musicians, says Robert Piaskowski, Artistic Director of the Krakow FMF, the originator of the Award. Our duty is to emphasize the importance and worth of film music often called the “new classic”. The Expert Council of the Wojciech Kilar Award, from several renowned international names provided by the program team of the Film Music Festival, almost unanimously selected the winner of the 1st edition. It is Elliot Goldenthal, winner of the Oscar, Golden Globe and World Soundtrack Awards for Best Original Music for the film Frida (2002), directed by Julie Taymor. Nominated for the Pulitzer Prize in the field of classical music, winner of two Golden Globes, three Grammy Awards, two Tony awards, three Chicago Film Critics Association Awards (CFCA),and six awards granted by the American Society of Composers, Authors and Publishers (ASCAP), including the ASCAP Founders Award in March 2015. The Kilar Award will therefore be granted to one of the most versatile composers of contemporary music, who has composed music for film, opera, ballet, symphony orchestras and theater, as well as chamber music. In his music, Goldenthal balances between dissonant, atonal music and classical harmony, often during a single phrase, blending traditional orchestral music with jazz and rock, as well as electronic music. He feels comfortable working on pieces extensive symphonically and chorally as well as more ambient and intimate, creating both traditional and unusual compositions. Goldenthal is highly valued for his unique, dark, and almostdense style. None of the contemporary composers of film music use their talent in creating works in such a variety of musical genres. Editor-in-Chief of Polish Music Publishing Daniel Cichy said that, In his work, ElliotGoldenthal combines respect for tradition, humility in relation to the composer’s craft, and remarkable ability to connect with orchestras and to fully feel and understand the medium of film. Juggling styles and conventions with ease, frequently on the verge between aesthetic worlds, Goldenthal masterfully complements the film director’s vision, sometimes following in-line with it and almost illustrating the protagonists’ emotions, and other times standing in opposition to the film’s expression, creating a contrapuntal narrative painting with sound. Interestingly, however, despite being met with a diversity of styles and a variety of orchestrations as well as the need to intelligently embody ofthe film’s theme, genre and form, the composer always creates a coherent musical message. And this is a trait that distinguishes the most prominent and outstanding from the rest. Elliot Goldenthal is perhaps best known for his film music scores to Titus (1999), Frida(2002), Across The Universe (2007), The Tempest (2010) and most recently AMidsummer Night’s Dream (2015) all directed by Julie Taymor, as well as films by Neil Jordan Interview with the Vampire (1994) and Michael Collins (1996), for which he received Oscar nominations. Among his other works, we may also list: Alien 3 (1992),Batman Forever (1995), Heat (1995), A Time to Kill (1996), The Butcher Boy (1997),Batman & Robin (1997), Final Fantasy: The Spirits Within (2001) and Public Enemies(2009). In 1996, the Pacific Symphony Orchestra commissioned Goldenthal to compose the symphonic Fire Water Paper: A Vietnam Oratorio to commemorate the 20th anniversary of the end of the war in Vietnam. A year later, for the American Ballet Theatre he wrote the ballet Othello, which premiered at the Metropolitan Opera. In 2013, Goldenthal recomposed music for the ballet to fit the needs of a new symphonic compositionOthello Symphony, which was recorded in Alvernia Studios with the AUKSO orchestra, conducted by Marek Mos. Othello will have its Revival Premiere as part of the American Ballet Theatre’s 75th anniversary season taking place at the Metropolitan Opera House in New York with four performances running May 19-21, 2015. In June 2006, the Los Angeles Opera premiered the opera Grendel directed by Julie Taymor with original music by Elliot Goldenthal, for which the composer received a nomination for a Pulitzer Prize in the category of music in 2007. 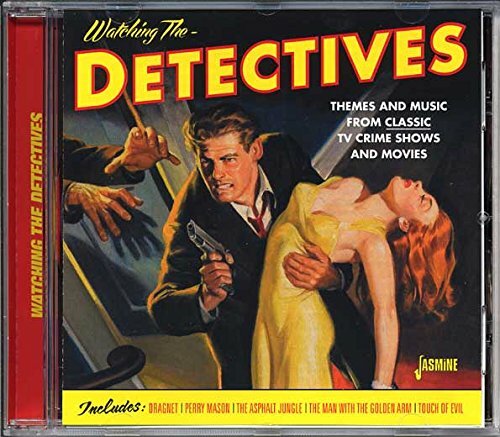 This compilation of 25 tracks covering TV and Film Theme’s if a marvellous find. 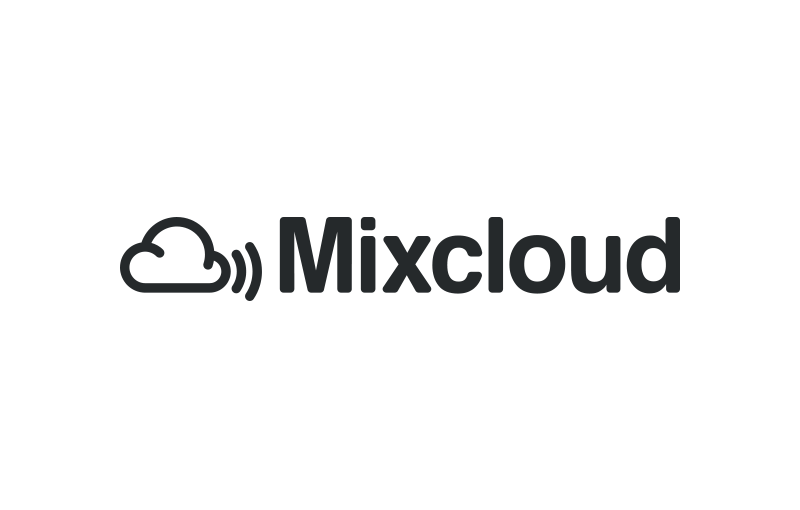 It’s from London based Jasmine Records, a label for the discerning listener featuring music across many genres’s. Over the coming months they are going to release a collection of original soundtrack albums from US crime tv shows and films, says their CD insert. This, I am looking forward to. The tracks are digital remixes from the original source and the quality is very good.We start with perhaps the most famous of US crime tv series Dragnet with it’s iconic 4 note motif constantly used to punctuate comedy sketches or impending drama. The theme was recorded in 1953 and hit the top of the US pop charts. Interestingly both Walter Schuman and a certain Miklos Rozsa have composing credits as Rozsa contested the authorship of the theme claiming it was taken from his 1946 score for The Killers. It was resolved by them both receiving royalties. 2 tracks follow from the late 50’s/60’s tv show Johnny Staccato music by Elmer Bernstein and starring John Cassavetes. This is a fabulous jazz piece blaring in parts and cool nightclub jazz in others. Walk Alone from the same show is pure Bernstein with a slinky under score and a slow brass and guitar main melody. It also has a solo piano piece in the middle which changes the tracks direction to a slow tempo, it’s a gem of a track. Same can be said for the luscious theme from The Naked City. Slow jazz played by Mundell Lowe and his All Stars. Slow jazz continues to dominated with Fred Steiners opening theme to Perry Mason, another class tv score. Mike Hammer, Mickey Spillane’s hard nosed detective, is characterised with a cool saxaphone theme with an upbeat tempo and is followed by Riff Blues from the same show. We move into a dark and tense landscape with the theme to the 1950 film noir The Asphalt Jungle. A weaving and low tone piece in which you can hear the signature nuances of Miklos Rozsa. Next and million miles away in style is Duke Ellington’s slick composition for the 1961 tv series of the same name. Two solid Henry Mancini tracks are next. Experiment In Terror  and the luscious tv theme Mr Lucky which can be enjoyed on most Mancini easy listening compilations. From 1960-64 you could hear the hip Nelson Riddle classic to the TV series Route 66, a finger clicking track oozing of glamour. A compilation like this would not be complete without a Count Basie tv theme and it comes in the form of M Squad where we also hear The Juke Box from the same series, a smooth trombone jazz composition by Benny Carter. Riddle returns in the anthemic theme to The Untouchables. You can really let rip with the finger clicking theme to 77 Sunset Street as 2 clicks form the basis of the main melody with backing singers singing it’s show title. This series starred the fabulously named actor Efram Zimbalist Jnr. Theme composed by Mac David & Jerry Livingston. Worth noting that one of the composers of the series music was Jerry Fielding. Accompanying the theme is a 2nd track The Stu Bailey Blues, Stu being the main character played by Zimbalist. Here’s a treasure of a find, the theme to Danger which ran from 1950 to 1955 which was a series of plays featuring psychological & murder mysteries. This show was a platform for young actors such as Rod Steiger, Anne Bancroft, Kim Stanley and Ben Gazzara. Guitarist Tony Mottola wrote the incredible theme. It starts with a straight guitar strum which is then accompanied by male singers and acts as the base line whilst female singers bring on the melody. It’s eerie and tense and must have stood out from other 50’s themes. Trumpets and kettles drums herald the theme to Richard Diamond, a tv show I have not heard of. This time it’s about suave private eye played by David Janssen and the suaveness shows in the brass running over a troubled under score, especially in the 2nd track Richard Diamond’s Blue’s. Both tracks composed by Pete Rugolo. Duane Eddy’s exciting guitar accompanied by a sleazy sax set the tone for Peter Gunn [1958-1961] starring Craig Stevens as the well fashioned private detective. Another theme that has slipped into the realms of ‘iconic’. Elmer Bernstein is back with the glorious Man With The Golden Arm, a 1955 movie with Frank Sinatra as the burnt out junkie Frankie Machine. With a continuous back beat under a jazz cacophony, this perfectly fits the frantic mind of Machine. Having listened to the whole of Bernstein’s superb score – the theme is enough to eek out the entire soundtrack. Touch of Evil is a very different score from Mancini, a little hard edged and paired down which fits the corruption and murder in a Mexican border town. It does retain some fun with the bongo drums keeping pace with strong bass. The second track from this movie featured on this CD, opens with the bongo’s and has a faster pace. The Boss is less slick but no less exciting. It all cheekily ends on another 50’s TV show theme Highway Patrol, heavy brass and a important sounding voice as to what the patrol does which was fighting crime on the highways. A fitting end track to this CD. This CD is worth having in your collection be it for nostalgia or sheer enjoyment. It makes you realise how prevalent jazz was in the 50’s and 60’s on many soundtracks. And I for one, would like to see a comeback in that. The quality of this CD is very good with a track list which is rich and worth preserving. Sadly, couldn’t find a credit for the cover art which very striking. And available as a CD or download. It’s not surprising that Ryan Gosling’s favourite film is East of Eden. Gosling himself tends to play disassociated characters, they watch more than talk. After working with directors such as Nicolas Winding Refn [Only God Forgives] Derek Cianofrance [Beyond The Pines & Blue Valentine], both of whom have contemporary vision – it’s no wonder he wants to use his influences and write and direct. 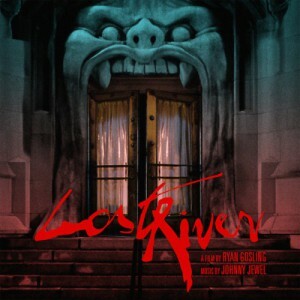 His first film Lost River has received mixed reviews but I am intrigued by it and it’s soundtrack by Johnny Jewell who did the scores to Bronson and Drive. The film is about a teenager who discovers a road which leads to to secret underwater town whilst his mother is swept into a dark underworld. The genre for the film is Drama and Fantasy and Jewell’s sound wall definitely caters for both. It opens with a song called Tell Me sung by Irish actress Saoirse Ronan who is also in the film. She sings it in the style of Lana Del Ray and it does sound little like the song Big Eyes. This is followed by Yes [Love Theme] by electronic band Chromatics which Jewell is a member of. Jewell’s first track is echo’s which is quite slow and beautiful but with a subtle dark undertone. Back to another song this time sung by one of the film’s actors Ben Mendelsohn. Cool Water is sang a little off-key but with feeling which adds to the weirdness creeping into the score. The Dead Zone begins with a dark note glissando which lays flat for a while, percussion then heightens the feeling that you’re drifting. At 6 minutes 47 seconds long the track doesn’t chill as much as puts you somewhere else and you’re just going along with it. Strange I know but then this whole score is wonderfully strange. The Chromatics sing a very wispy version of Blue Moon. Carousel includes what sounds like pipes and a school bell to create another listenable oddity. If instrumental singles were released like they were a few years ago then Chromatic’s Yes [Symmetry Remix] would be a contender for the top spot. Spellbound does chill with it’s dull throb in the background and long held notes, there is a sound like the wind and another bell punctuates this almost silent track. The cue Death is sparse but eerie and Franky’s Theme has a 3 note percussion rift running it through it with a distant drum and very little else except a low electronic hum underneath. It makes you feel as if you are inside your own dream desperately trying to get out. All this ends with the ambient Yes [Lullaby from Lost River], a melodic childlike theme. With soundbites from the film this is quite a long soundtrack but the more I listened to it the further I wanted to explore it. It’s enigmatic and it pulls you in but you do end up feeling that you don’t necessarily have a better understanding of the film itself by listening to it’s score. It’s not a soundtrack I will listen to over and over again but it deserves attention for the strange and other-worldly atmosphere Jewell has successfully created.